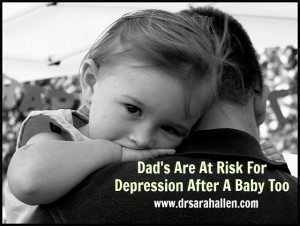 Dads Are At Risk For Depression After A Baby Too! 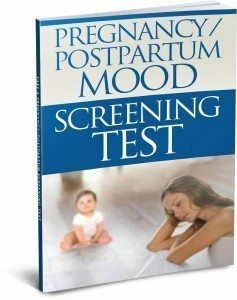 We know that approximately 15 to 20 percent of new mothers experience depression in the first year after giving birth and also that maternal depression can negatively affect both a children’s cognitive and behavioral development. Mounting studies are now showing that becoming a father increases a man’s risk of experiencing anxiety and depression as well and that too can impact a child’s development. When I first started working with new parents (over 20 years ago) the research at the time only focused on depression in moms after the baby was born. 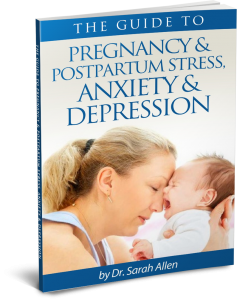 Then in the past decade or so, researchers began realizing that new moms suffer from anxiety as much as depression and also, that symptoms just as frequently begin during pregnancy. They are now turning their focus on paternal depression. The fact that fathers of young children suffer an increased risk of depression and anxiety is nothing new with those of us who specialize in treating these issues but it is so great that the recent research is now being carried out. This will hopefully increase awareness of paternal anxiety and depression and therefore reduce the stigma and bring more community resources. 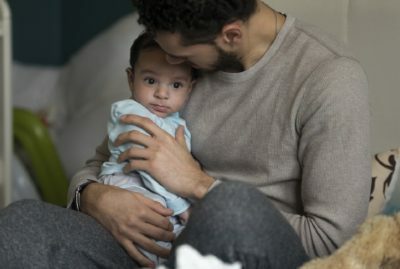 One recent study which was published in Pediatrics, found that depression symptoms rise about 68% for fathers (that live with their children) between the time a baby is born until the child is 5 years old. That’s a huge number of Dads! Other studies have found about a 10% occurrence of depression symptoms in new dads and according to the Journal of Parent & Family Health other studies have found that fathers are most likely to experience a first onset of paternal PPD in the first 3 to 6 months after the birth of their baby. With such a high occurrence it is important for medical professionals and family members to be on the lookout for symptoms as unfortunately, there is not yet a general awareness in our society that paternal depression exists. Some symptoms of paternal depression are different from women’s and often men don’t acknowledge their feelings of sadness, hopelessness and/ or guilt. Men may also feel in conflict between how they think a man should be and feel and how they are actually feeling. Remember it doesn’t necessarily mean you are just sad; anxiety and anger can be part of it too. Below is a list of possible symptoms but remember the severity and number of symptoms varies across individuals. Many of the risk factors for postpartum depression in women also predispose men to postpartum depression. Lack of sleep is one risk factor that is especially common when you have an infant. Depression and sleep problems often go hand in hand, and there is a lot of research that suggests that prolonged sleep deprivation is associated with changes in brain chemistry that can increase the risk of depression. The most important thing to remember is that paternal depression is very treatable and although it is a serious condition, you can recover. Firstly, it is important for both you and your partner to practice self-care. Physical health. Simple things like making sure you are looking after your physical well being by getting nutritious food, staying hydrated and getting a little exercise are so important for all new parents. Your physical health and emotional health are very connected which brings me to the next two points. Rest and breaks. In the first months many men do double duty by going to work and then taking over childcare as soon as they get home. Moms of course need this support as it is really hard to be at home with a baby all day, but try to discuss ways you can share childcare and chores, perhaps getting outside help for a while, so you can each get a break sometimes. Or make sure you take a short break at work, even when you are stressed about getting work done. Sleep. Yes, I know sleep is at a premium at your house but sleep deprivation can cause a mood disorder in anyone, not just new parents. I see men participating in looking after babies at nighttime more and more, but it is important for you and your partner to alternate nights or sleeping in the morning, so at least one of you is getting sleep. You don’t both need to be awake. Emotional care is just as important as physical self care. Tackle isolation. Men tend to feel isolated as their support circles tend to be smaller than women’s. Also men often rely on their partner for emotional support and she may not have enough emotional energy to do that at the moment, especially if she is experiencing a postpartum mood disorder herself. Talk to other Dad’s and I think you will find that they will also agree on how difficult parenthood can be. If it is too hard to talk to people you know, start by calling in a forum especially geared towards men. On the first Monday evening of the month, PSI has an informational phone forum for dads, facilitated by an expert in perinatal mood and anxiety disorders and recovery. Participation is free. Seek help from the professionals. 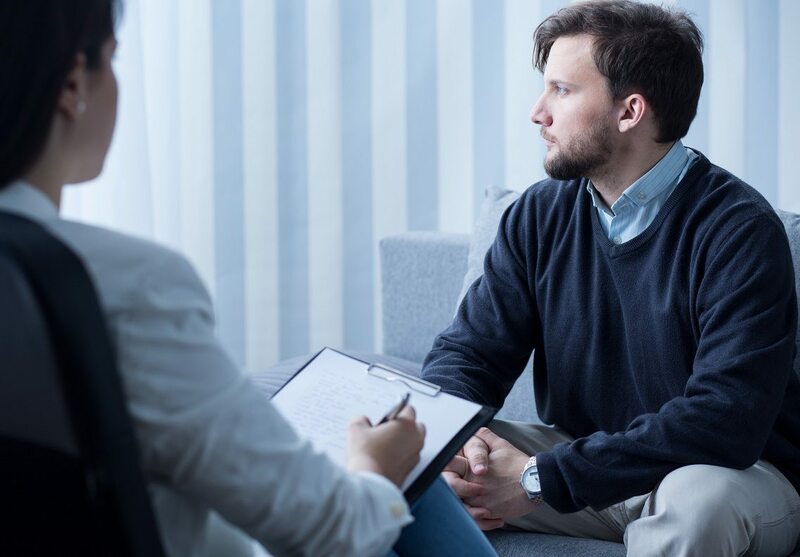 Therapy helps and you don’t need to continue therapy for years, if you choose the right therapist you can take away strategies even starting from the first session! It is important to choose someone who has many years experience and specializes in treating new parents. Ask a potential psychologist before setting up an appointment whether they have attended conferences and specialized training and how many years they have been treating paternal mental health. Therapy can also help you with stress management, juggling home and work responsibilities and relationship issues that can often come up when you and your partner are transitioning to parenthood. So if you know a dad who is feeling a lot of anxiety, irritability and not enjoying things in life as he once did, please encourage him to reach out for the support and help he needs from a professional that understands the life transitions a baby brings. contact me at 847 791-7722 or on the form below.